Stadion v Jiráskově ulici is a multi-functional sports venue located in the centrally placed city of Jihlava. 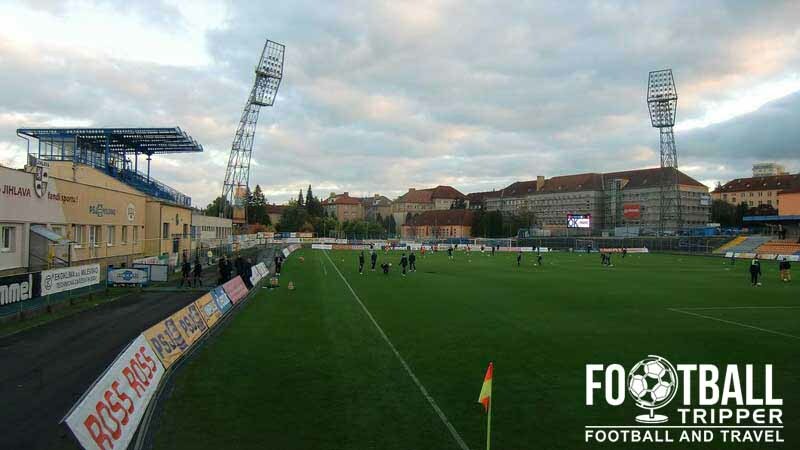 With an all-seating capacity of 4,082, the home ground of FC Vysočina Jihlava is the smallest, if not one of the smallest stadiums in the Czech First League. Stadion V Jiráskově Ulici first opened in 1955 after a planning and construction process which lasted over five years in total. Work on a new stadium originally began on 10th September 1951, however the club were forced to abandoned the site after a gas pipeline was found. Thankfully the stadium found a new site closer to the city centre, however this delayed construction of the city’s new multi-purpose 15,000 capacity venue until 1953. The most recent impetus for renovation of the stadium came when Vysočina Jihlava unexpectedly finishing runners up during the 2004/2005 season. Resulting in promotion to 1. liga, The Czech Football Association requires all top-flight to have a minimum seated capacity of 4,000, and thus Stadion v Jiráskově ulici underwent expansion during the following 18 months. 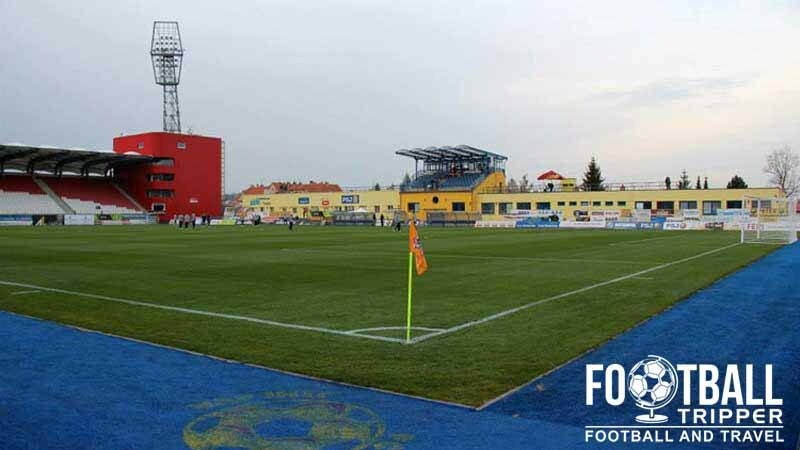 In order to minimise disruption, and to prevent Vysočina Jihlava from having to engage in a ground-sharing arrangement, the club were given special dispensation by the league to continue using the stadium whilst the renovations were carried out. Costing a total of 180 million Czech Koruna, work on the 4,025 capacity stadium was officially completed in 2006 in time for the following season. 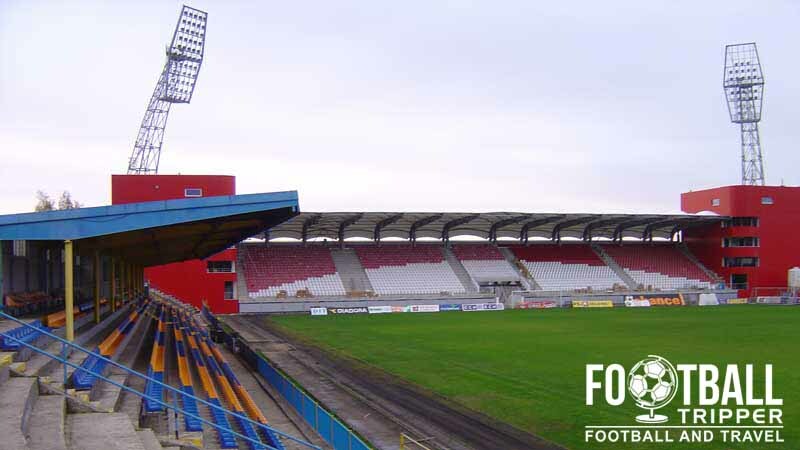 To date the record attendance was on 13th October 2006 when the new grandstand was debuted during a league match against FK Čáslav. Attracting an impressive crowd of 3,100, FC Vysočina Jihlava successfully inaugurated their new facilities with a comfortable 2 nil win. Under-soil heating was installed in the Summer 2012 to further modernise the ground. 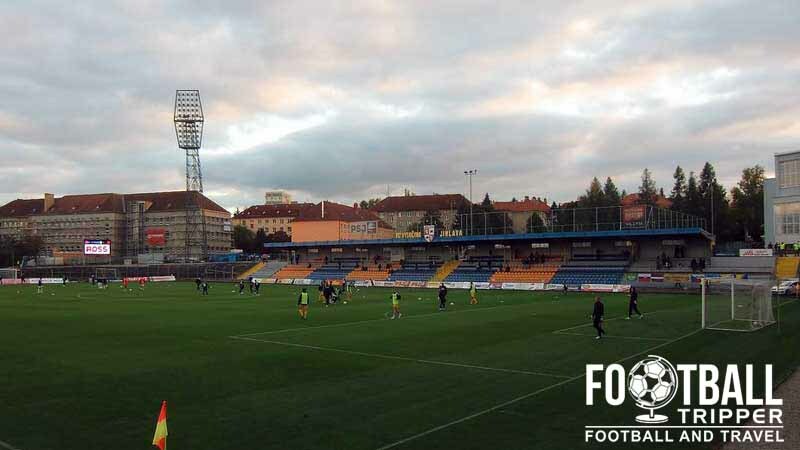 As FC Vysočina Jihlava have spent the majority of their history in the lower leagues of Czech football, having only just recently made the step up to the top division the club have yet to host any European football. The newly refurbished Stadion v Jiráskově ulici has however hosted the final of the 2010/2011 Czech Cup between Mladá Boleslav and Sigma Olomouc. This marked only the third time the final had been held outside of Prague since the competition began in 1993. 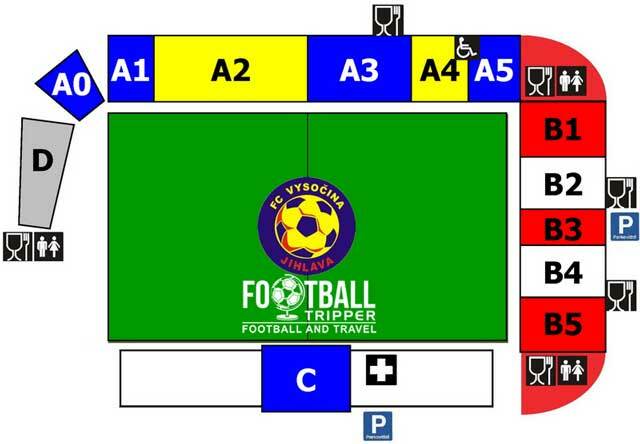 Stadion v Jiráskově ulici is comprised of four stands: North, East, South and West.